BRING YOUR FAMILY, SHOW YOUR LOVE! At WMAI, WE LOVE MILITARY FAMILIES. Their mural project honors their ongoing sacrifices and celebrates their presence in our community. Attention ALL military families, caregivers, mental health providers, arts organizations & community members! 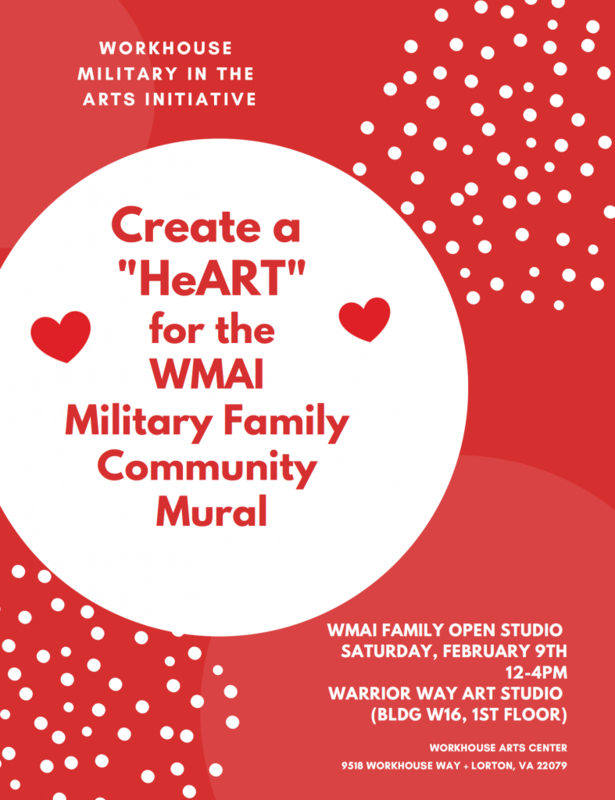 Help to support our military family members by decorating a pre-cut heart during Workhouse Arts Centers monthly Family Open Studio Day! The mural will be officially revealed on Armed Forces Day 2019 and travel to local military bases throughout the year! YonseniaWhite@workhousearts.org or call Workhouse Arts Center at (703) 584-2929.